The definition of a successful artist or songwriter is evolving. To thrive, you have to learn the business to make informed decisions. We know, perhaps better than most, that the music industry is flooded with acronyms and terms, probably a few hundred too many. Sometimes just adding a word to an existing term can create a whole new definition! 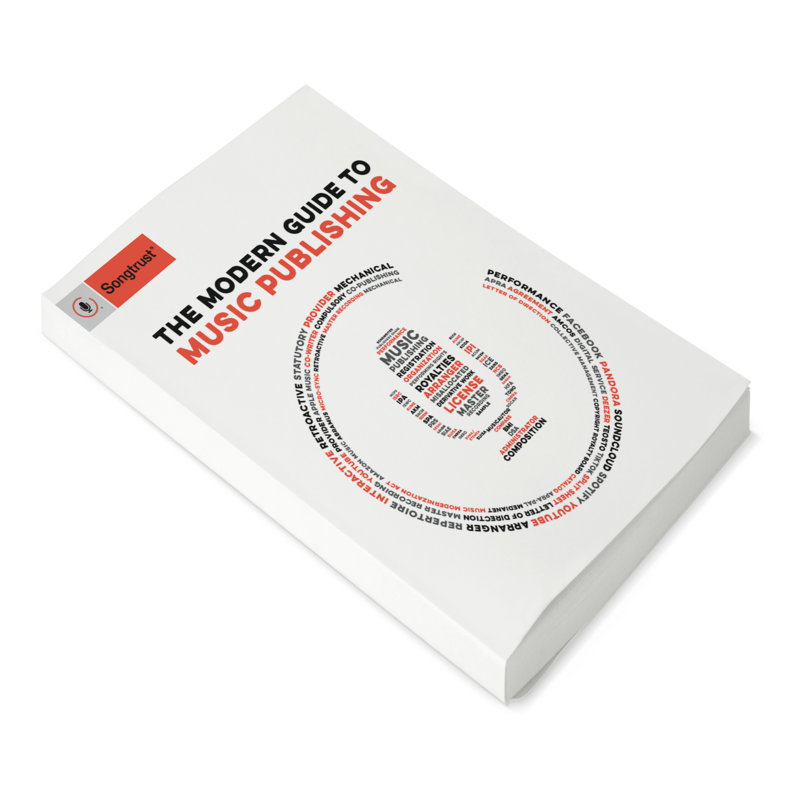 As a part of our continued mission to help songwriters and rights holders become better business people through expert resources and explanation of the music business and music publishing industry, we’ve curated a collection of music industry, business, and publishing terms. Below are a few of the top ten commonly used industry terms and their definitions. Check out the Songtrust Glossary for our full list of terms and educate yourself on their definitions. Copyright - Copyright is a legal right created by the law of a country that grants the creator of an original work exclusive rights for its use and distribution. This is usually only for a limited time. The exclusive rights are not absolute but are limited by certain limitations and exceptions to copyright laws, including fair use. A major limitation on copyright is that copyright protects only the original expression of ideas, and not the underlying ideas themselves. Visit the Copyright Government website for more information. Copyright Royalty Board (CRB) - The CRB consists of three US judges who are responsible for setting statutory royalty rates for compulsory licenses. This is the board that periodically sets the statutory mechanical royalty rate, which is currently 9.1¢ per track or 1.75¢ for each minute of playing time, whichever is greater. Visit the Copyright Royalty Board website for more information. Intellectual Property (IP) - Intellectual Property is any product of someone’s intellect that has commercial value. This includes any form of creative expression and knowledge (like symbols, names, and images), whether it is documented or undocumented. Intellectual property can be protected through copyrights, patents, trademarks, and trade secrets laws. For example, Nike’s signature check mark logo is protected through trademark, and Coca-Cola’s secret recipe for Coke is protected through trade secrets law. Visit the World Intellectual Property Organization’s website for more information. Master Recording - A Master Recording is a complete, original recording from which copies are made. Master recordings are usually controlled by a label, whereas the underlying compositions are usually controlled by a publisher. A master recording copyright is represented by the “℗” symbol meaning “phonogram”. Mechanical Royalties - Mechanical Royalties are earned through the reproduction of copyrighted works in digital and physical formats. Songwriters are paid mechanical royalties per song sold, downloaded and on certain digital formats. The standard mechanical rate for sales is set by the US Copyright Office and is called the statutory rate. Although the terms "mechanical" and mechanical license have their origins in the piano rolls on which music was recorded in the early part of the 20th century, the scope of their modern usage is much wider and covers any copyrighted audio composition that is rendered mechanically (i.e., without human performers). As such, it includes: Compact discs, vinyl records and tape recordings, music videos, ringtones, MIDI files, downloaded tracks, DVDs, VHS, UMDs, computer games, musical toys etc. Music Publishing - Music Publishing is the business of protecting and promoting song copyrights and collecting the royalties that these copyrights generate. Think of a song as intellectual property (it’s an original piece of art! ), and music publishing as the business that makes sure that songwriters get paid a fair compensation when their intellectual property is used by companies. Those companies could be record labels (mechanical royalties), radio stations, bars, and restaurants (performance royalties), or film studios and advertising agencies (sync license fees), and many more. Note that music publishing pays royalties only to the writer of a song, not to performers (so Bob Dylan, not Jimi Hendrix, gets the music publishing royalties for ‘All Along The Watchtower’). Performance Royalties - Performance Royalties are payments made to a songwriter or publisher for the public performance or broadcast of a musical work. Public performance refers to playing a song on the radio, on television, in bars and nightclubs, at concert venues, and other public places. Performance royalties are collected by performing rights organizations such as ASCAP, BMI and SESAC. Performing Rights Organizations (PRO) - PRO’s are societies responsible for collecting income on behalf of songwriters and music publishers when a song is publicly broadcast. Public performances can include play in television, radio, clubs, restaurants, websites, or other broadcasting systems. PROs collect fees from these establishments which they then pay to their registered songwriters or their publisher. Sub-publisher - A Sub-Publisher is a company that is assigned the right to administer songs outside of a publisher’s territory. For example, an American publisher would engage the services of a sub-publisher in Germany to handle its affairs in that country. Synchronization (“Sync”) Right - The sync right is the right to authorize the recording of a musical work onto the soundtrack of an audio/visual work (film, television program, music video, video game, commercial). A synchronization licence is needed for a song to be reproduced and songwriters and publishers receive royalties for sync rights. These are only a small portion of the terms used throughout the music industry. For a full list, that we’ll continue to update regularly, check out the Songtrust Glossary.